Type 1 diabetes is essentially an autoimmune disease, a condition where the body fails to recognize an organ as its own and attacks it. In Type 1 diabetes, the organ the body attacks is the pancreas, which produces insulin, destroying the insulin-producing beta cells in the pancreas, making the body insulin-deficient. Insulin is a hormone that regulates the amount of sugar in your body. Thenormal glucose (sugar) cannot be absorbed by the body without insulin. If there is insufficient insulin, there is an increase in the individual’s blood sugar levels. A person with Type 1 diabetes has to inject insulin into his body on a regular basis, so that sugar levels in the blood are controlled. Type 2 diabetes is not an autoimmune disorder. It is a condition where insufficient insulin is produced rendering the body incapable of controlling the sugar levels in the blood. As a result, someone suffering from this condition may experience elevated levels of sugar in the blood. When a person has Type 2 diabetes, the doctor may prescribe certain lifestyle-changes. As this type of diabetes is mainly associated with a lack of physical activity, the doctor may put the patient on a strict diet in conjunction with a regulated amount of exercise. In some cases the doctor may also prescribe insulin in order to cut down the levels of sugar in the blood. There is also a difference in the age groups that are most susceptible to these diseases. For instance, Type 2 diabetes usually affects people 40 years or older. However, Type 1 diabetes can even affect children as young as 11. 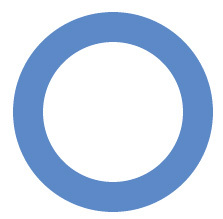 Unfortunately there is very little you can do to prevent Type 1 diabetes. It may be caused by the autoimmune disorder described above, but it can also be caused by a virus that damages the pancreas in some way. There is little you can do to prevent this condition. Type 2 diabetes, however, is mainly related to lifestyle and so preventing the disease is not very difficult. All you need to do is to maintain a healthy lifestyle, avoid stress as much as possible and get regular exercise for at least 45 minutes every day. Both Type 1 and Type 2 diabetes cause a great deal of damage to the internal organs. For this reason, you should always seek medical advice on how to manage your condition as soon as possible. Purpa Mukherjee. "The Difference between Type 1 and Type 2 Diabetes." DifferenceBetween.net. February 12, 2017 < http://www.differencebetween.net/science/health/the-difference-between-type-1-and-type-2-diabetes/ >. Heredity is a major factor of diabetes. That diabetes can be inherited has been known for centuries. However, the pattern of inheritance is not fully understood. Statistic indicates that those with a family history of the disease have a higher risk of developing diabetes than those without such a background. The risk factor is 25 to 33 percent more. Heredity is a factor in Type 2 diabetes, but probably not for Type 1. My father has type 1 diabetes, so did his grandfather. When I was born (and a couple times since) they tested me for “indicators” of type 1 diabetes, and I didn’t have any of them, thank goodness. Doctors have told my family, though, that they think type 1 definetely(sp) deals with heredity, but they think it skips a generation. It is also more common in men, last I knew. As I keep going I realize this entire article could do with a complete rewrite. For example the sentence “Preventing the disease is not very difficult” is not true. In some cases you can prevent type 2 diabetes, but not always. I’ve got friends with T2 who are thin and exercise frequently, this generalization is a myth and is misleading. Drop me a line if you need a hand with the rewrite. THANK YOU VERY INFORMATIVE BLOG!!!!!!!!! !